Jeff Jones grew up boating on the Ohio River in Parkersburg, WV, and graduated from West Virginia University in 1975. He has spent his entire career in media and marketing and has lived and worked in Kentucky, South Carolina, Washington, DC and Richmond, VA, where he currently resides with his wife, Kathryn. Kathryn is a Pittsburgh, PA, native and graduated from West Virginia University in 1977. She has a nursing degree from WVU and a law degree from George Mason University. As the owners and publishers of Waterway Guide Media, they currently reside in Richmond and maintain a second home in Deltaville, where the Waterway Guide is headquartered. They have been boating together for over 30 years. 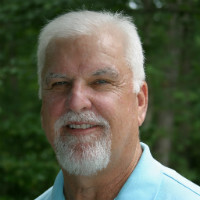 Ed Tillett is Editor-in-Chief and General Manager of Waterway Guide Media. He took an early retirement from Northrop Grumman Corporation to fulfill a lifelong ambition of combining boating, travel, journalism, media design and publishing in a single job. A lifelong resident of Virginia, Ed is an award winning multimedia producer who has been honored with five Tellys and seven Communicator of the Year awards for his work in instructional design, media production, scripting and directing. A former radio and television news anchor with WHRO public broadcasting (NPR & PBS) and the NBC TV affiliate in Hampton Roads, his lifelong enthusiasm for learning has provided multiple opportunities to engage in projects with corporate, broadcast and government clients worldwide. A lifelong sailor, fisherman and outdoorsman, he and his wife, Anne, now own a 1947 Trumpy diesel cruiser, Adonia, that they proudly share with anyone interested in hearing her story. Growing up on Chesapeake Bay and North Carolina’s beaches, Ed recalls the stories of his grandfather’s tenure with the Lighthouse Service and U.S. Coast Guard as keeper of Cape Henry, Corolla, Thimble Shoals, Old Plantation Flats, Lower Cedar Point, Bodie Island and other lights during his lifetime. Ed’s extensive travels in Cuba over the past 15 years resulted in the latest Waterway Guide publication, Cuba Bound, to join the company’s line‐up of cruising guides. Waterway Guide Managing Editor Jani Parker grew up sailing in small boats on the Pamlico River in North Carolina and continued through college, where she met her sail and soul mate, Max. She and Max have lived in Deltaville since 2001, along with their now teenage son, Bay. The family has had a series of sailboats over the years and has sailed together on their own boats and on others from Nova Scotia to the Caribbean. Their favorite sailing is in their own “back yard,” the Chesapeake Bay, where they currently sail an Island Packet 31, Lorelei. Jani had a 15-year career in public relations and served 10 years as an educator prior to joining Waterway Guide. She has a BA in English from East Carolina University and a M.Ed. in Instructional Technology from Virginia Tech. Scott McConnell is Waterway Guide’s Graphic Designer and Print Production Manager. He is responsible for the look, layout and fabrication of all of the Waterway Guides, Waterway Guide Magazine and many other printed materials. Scott, his wife Debra, and their children make their home on Blinkhorn Creek just off the Choptank River, where they enjoy the bounty and beauty the Eastern Shore of Maryland has to offer. He is an artist, musician and singer/songwriter maintaining a creative studio in his home. His background in commercial art, plus his experience in high quality lithography are a perfect fit here at Waterway Guide. Waterway Guide Marketing & Advertising Traffic Manager Sandy Hickey grew up in the suburbs of New York where she received her BS in Marketing and MS in Information Systems from Marist College in Poughkeepsie, NY. Sandy received her career start as Show Coordinator for George Little Management and Sales Representative for Prentice Hall Publishers. She moved to Virginia 14 years ago with her husband, Joe, to become the Director of Marketing for the Boy Scouts of America and then spent 7 years as Marketing Manager for International Communications Group before working for Waterway Guide. Sandy and Joe have two children and like to spend weekends boating on the Rappahannock River and fishing whenever they can. 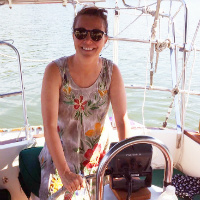 Waterway Guide Product Manager Heather Sadeg grew up sailing the Chesapeake Bay with her family and took up dinghy racing in college at Penn State University. After graduation, jobs in the tech industry took her to the San Francisco Bay area, where she jumped into the big boat racing scene and met her husband, Adam. They owned several different sailboats and powerboats while living in California but eventually decided it was time to move somewhere with hot summers and warmer waters. They now live in Mathews, VA, with their two daughters. The family enjoys cruising the southern Chesapeake Bay on their Catalina 30 and running to various local beaches in their Sailfish 19. Linda Jernigan is a long-time Virginia resident. She recently relocated to the Northern Neck after 50 years in the Hampton Roads area and brings 30 plus years of administrative and managerial skills to Waterway Guide. Linda claims that meeting the customers are the best part of all of the positions she has held! “There’s always something new to discover!” is her motto. Her current challenge is to find the time to combine her old love of gardening with her new love of boating! She looks forward to sharing the beauty of the Northern Neck with her family and friends, both old and new. Waterway Guide News Editor Lisa Suhay is a seasoned news professional and boater. Over the past 27 years her bylines have appeared in The New York Times, Philadelphia Inquirer, Multihulls and SAIL Magazines as well as The Virginian-Pilot Newspaper. Most recently, Lisa has been a part of The Christian Science Monitor's Rapid Response Team. Her husband Robert holds the Guinness World Record for the Longest Distance Sailed in a (Laser) Dinghy. The couple lived aboard a 38-foot Columbia yawl rig and later a 37-foot Jim Brown design trimaran with two of their four sons. The family cruised the ICW from Long Beach Island, New Jersey to the Gulf Coast of Florida with their first son, while Lisa was pregnant with son number two. They lived aboard for six years. She currently lives in Norfolk, Virginia where she runs the committee boat on Sundays to assist Robert with the weekly Laser Frostbite series at the Old Dominion University Sailing Center. 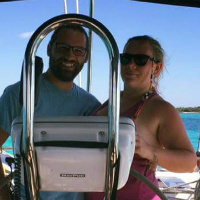 Lisa and Robert have recently started a remote control sailboat rental business called SailBOT where the community can learn about the mechanics and fun of sailing. For Ted and his wife, Audrey, boating adventures began in the early 1970s on the lakes of Minnesota in a small aluminum fishing boat and a 16-foot ski boat. In the mid-70s they moved to the Chesapeake Bay where for 20 years they cruised the Chesapeake and the Atlantic Intracoastal waters on three different sailboats, a trawler and, finally, a motor yacht. After retirement and a move to Cincinnati, OH, cruising included The Great Loop, the inland rivers and wintering on the Florida Gulf Coast. 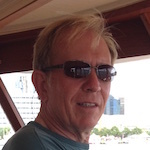 Ted serves as a consultant to Waterway Guide and also is editor of the Skipper Bob series of cruising guides. Waterway Guide business development manager, Graham Jones, grew up in Richmond, VA. While living in Virginia, Graham got his first taste for water on inland lakes and rivers. The James River and Smith Mountain Lake were places where he spent a lot of time on the water aboard a 24-foot Cobalt bow rider. After graduating from inland lake and river boating, Graham began cruising and fishing the bigger water of the Chesapeake Bay aboard the 37-foot Sea Ray Sundancer. He plans to continue to hit the water whenever possible and hopes to meet other cruisers along the way. Graham currently runs Waterway Guide’s sales and marketing teams. He has an undergraduate degree in mechanical engineering from West Virginia University and a master’s degree in business administration from North Carolina State University. Before joining Waterway Guide, Graham lived in Raleigh, NC, and worked for Siemens, where he sold smart building technologies. Pete Hungerford, Sales Rep for the Southern and Great Lakes Waterway Guides, has been a boater since he was born. Raised on the St. Lawrence River/Lake Ontario, boating has always been a part of his life. Pete and his wife, Karen, owned a series of Searay Boats and explored the waters of the river, lake and Canadian waters extensively with their two children. After owning several marine-related businesses and having their son graduate college and take over the business, Pete and Karen and two dogs moved aboard a 40- foot trawler. Using the Waterway Guides, they traveled the ICW for six years and then settled on the Treasure Coast of Florida. 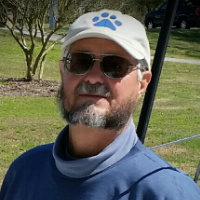 Pete joined the Waterway Guide in 2003, as his love for and extensive knowledge of boating seemed a perfect match. Scott Richard Berg is a lifelong boater and full-time cruiser with five decades of experience on a range of vessels from el Toro prams to a 135-foot Baltic Trader. He operated Chardonnay Boatworks, a full-service marine repair company, for many years from a series of cruising sailboats (all named Chardonnay). He is the immediate past president of the SSCA, an ABYC Certified Master Technician and holds an Amateur Extra Class radio license. 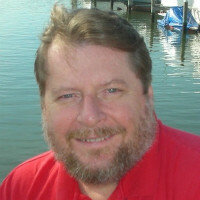 Scott is Waterway Guide's Cruising Editor for the Potomac River (both shores). Bob Bower worked at his family business in Nassau for 21 years, where he edited the Bahamas Tourist News, and the promotion boards' Bahamas Out Islands Travel Guide and Nassau/Paradise Island Tourist News. Born in Nassau and schooled in the UK, Bob lived in Australia for seven years, where he co-partnered a successful public relations firm in Sydney. Between 2015 and 2017 he served as executive director for the Association of Bahamas Marinas and for five years produced the ABM's Bahamas Cruising Map. He also writes for Fodor’s Travel Guides. Bob loves to travel the Bahama Out Islands and his further journeys have taken him to five continents. Since 1987 Bob has resided in Nassau with his wife and three children and loves his faith, reading, chess, Formula 1, travel and photography. Michael Camarata started his sailing/boating life in the early 1970s when he decided to buy a Sunfish-type sailboat with his future wife, Carol Zipke. A few years later they bought a larger sailing dinghy with TWO sails. This was to set a pattern of larger and more complicated sailing vessels that continued to the vessel they now own and live aboard, a 44-foot sailing (occasionally) catamaran, Infinite Improbability, which Michael says is their last upgrade. Michael and Carol’s cruising area originally ranged from New York City to Nantucket and north of the Cape Cod Canal. Now, having sold all of their "dirt-based property", the couple roams from southern New England to the Florida Keys and the Bahamas. They live in Mystic, CT, in the summer and Marathon, FL, in the winter. They are both Past Commanders of the Waterbury (Conn) Power Squadron, as well as Senior Navigators in the U.S. Power Squadron. Matt and Lucy Claiborne met while studying together for their pilot's license and have been sharing adventures ever since. They lived aboard a 31-foot sailboat as newlyweds; then owned a 19-foot runabout while living in Key Largo, which they used for sunset cruises. They upgraded to a 21-foot cuddy cabin, which they used as a platform for diving in the Florida Keys and for week-long camping vacations exploring different parts of Florida's beautiful coasts. 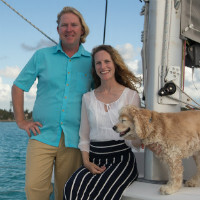 Fueled by the desire to be on the water full-time, they sold their house, purchased a 38-foot sailing catamaran (Independence) and moved aboard, along with their cocker spaniel Captain Hastings. They are in the middle of a planned three-year cruise and have traveled to Florida, the ICW, the Chesapeake Bay and the Bahamas. They both hold USCG 50-ton Master licenses and love every minute spent on the water. Capt. 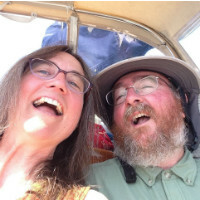 Dena Hankins & James Lane left Seattle, WA, aboard a William Garden Seawolf ketch in 1999 and have been traveling ever since. They sailed the Puget Sound and the San Juan Islands, the Georgia Strait and the Strait of Juan de Fuca, the northern Pacific Ocean and the San Francisco Bay. There, they downsized to a Gulf 32 pilothouse sloop and jumped the trades to the Big Island of Hawai’i. 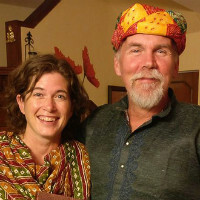 They sailed throughout the archipelago for a year and sold that boat in Oahu in order to move to the Indian Subcontinent in 2008. In 2009, they chose the Chesapeake Bay as the restarting point for their circumnavigation, titled “Around the World in 80 Years.” They settled aboard their new old boat, a 1961 Philip Rhodes Chesapeake sloop, and gunkholed from Norfolk, VA, to Winter Harbor, ME, and south to Cape Fear, NC. Between extremes, their home towns have included: Baltimore, MD; Portland, ME; Noank, CT (where they crewed on a tall ship); Manhattan, NY; Boston, MA; Wilmington, NC; and Annapolis, MD. As Cruising Editors, they've covered: Maine; Nantucket to Portsmouth, NH; the north shore of the Long Island Sound; the C&D Canal; Northern Chesapeake Bay; and the ICW between Norfolk and Cape Fear. 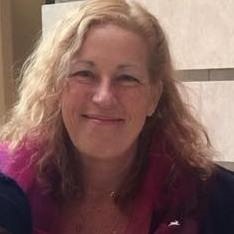 Dena is a multi-published novelist and short-story writer with a 50-ton Master License. James is an accomplished photographer and indefatigable traveler, storyteller and sailor. Together, they can face anything, even a head rebuild, and honestly say they’re living the dream. Capt. George and Patricia Hospodar have been boaters for over 40 years and have cruised more than 43,000 miles together aboard two sailboats and their 48-foot Symbol motor yacht, Reflection. Since 2008 they have traveled up and down the Atlantic ICW numerous times between their home on Barnegat Bay in Brick, NJ, and their “adopted” home at Banana Bay Marina in Marathon, FL, and have completed the America’s Great Loop journey twice through the waterways of the U.S. and Canada. George, a retired business owner, has been a 100-ton licensed U.S. Coast Guard Captain for 26 years and is a Past Commodore of the Bristol Sailing Club in Bay Head, NJ, a Past Director of the New Jersey Marine Trades Association and a Past President of the Chesapeake Marine Canvas Fabricators Association. He and Pat (a retired music teacher and choral director) are Platinum lifetime members of the America’s Great Loop Cruisers’ Association, as well as members of the Marine Trawler Owners Association and the Marathon Yacht Club. Together they have also authored two popular boating books: Reflection on America’s Great Loop and The Great Loop Experience from Concept to Completion, and they are often featured speakers at boat shows, TrawlerFests and other nautical events. Debi and Dennis Jansma both have a long-lived love of the sea and boating. 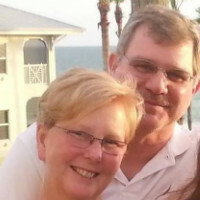 Dennis began sailing as a teenager on a Hobie Cat in Hingham MA, while Debi grew up helping in marinas managed by her parents along the Erie Canal. The two met in high school in Rumson NJ, and sailed together in the Navesink River. After they married, they became members in the Monmouth Boat Club, where Dennis enjoyed racing Flying Scots. As their three children grew older, sailing stayed front and center with family vacations on bareboat charters in the U.S. and British Virgin Islands. 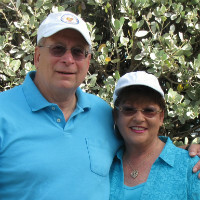 In 2005, Debi and Dennis moved to the Miami area, seeking a longer sailing season, and joined the Coconut Grove Sailing Club. Both became very active on the CGSC Race Committee and traded their Flying Scot for a 27-foot Stiletto catamaran to sail on Biscayne Bay. After their youngest left for college, wanderlust set in for real and they started planning to make the liveaboard life reality. They spent three years having their dream boat built, a kit catamaran from Australia called a Fusion 40 (XYZZY). They have cruised both coasts of Florida, the East Coast north as far as Kittery, ME, and spent 5 months in the Bahamas during their second winter aboard. Both Debi & Dennis are SSCA members. Capt. John “JJ” Johnston is our expert on the Erie Canal and the New York State Canal System. He is originally from Pittsburgh, PA, but calls Fairport, NY, his home canal town. Capt. 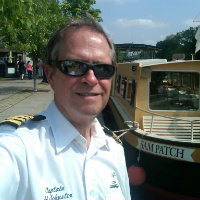 JJ retired from Kodak’s motion picture division in 2007 and became a captain on Sam Patch, a popular Erie Canal tour boat. He also served as Executive Director of CANAL NY, a destination marketing organization, traveling on his 29-foot diesel inboard C Dory, Penguin, across the State of New York, promoting the waterway and learning about its history, operation and navigation. He’s motored all 524 miles of the NY State Canal System, been up and down all 57 locks, overnighted in 42 canal communities and participated in more than 20 canal events. Capt. JJ holds a 100-ton USCG license and is a certified on the water instructor for U.S. Powerboating, the National Safe Boating Council and NYS Boater Safety course. As Captain JJ LLC, he offers charter cruises and provides powerboat training for boat clubs in upstate NY and Ft. Lauderdale, FL. Michael O’Reilly and Ann Phillips came to sailing by first messing about with canoes and kayaks while living on the Canadian shore of Lake Superior. Sailing replaced the smaller boats, and over the last 15-plus years they have enjoyed many extended summer cruises. Most recently they completed a cruise through four of the five Great Lakes, and currently plan on exploring Lake Ontario, the St. Lawrence Seaway down to Newfoundland, and beyond. 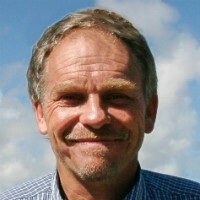 Mike is a long-time freelance journalist, writing mostly about the sciences. With the transition to this new watery life Mike now spends most of his work time writing about traveling, destinations and cruising. Ann is an accomplished photographer. Together they are chronicling their life afloat. Mary and Tharon Rodriguez are Cruising Editors for the fresh waters of Lake Michigan and Lake Huron. They learned how to sail only a few years ago and enjoy cruising the Great Lakes in Michigan Summers and Florida Keys/Bahamas the remainder of the year. Their fleet includes Fuzz, an S2 7.3, located on the Great Lakes and Tipsy Gypsy, 36-foot Hinterhoeller Nonsuch, located in Florida. They are both digital nomads working and cruising full time and sharing their adventures through writing blog posts, taking pictures for Instagram and uploading videos on YouTube. They are fun-loving, adventure-seeking, mid-westerners with a whole lot to offer our team. Learn more about them by visiting maryandtharon.com. What Are Boaters Saying About Waterway Guide?